The story behind Britney Spears' "Sometimes"
In 1996, Jörgen had moved to Stockholm permanently. On Holländargatan, in the center of town, he opened his own music studio, Groove Shack, which he kept until 1999. 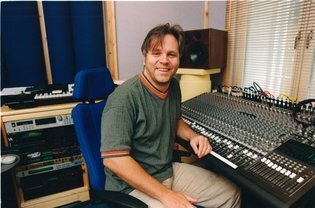 The studio produced commercial radio jingles and music for artists such as Jade Ell and Meja, and, of course, here Jörgen continued to write music. 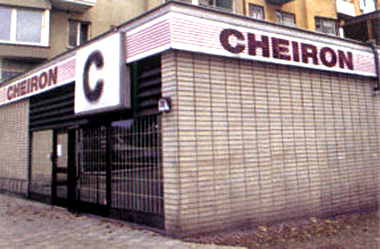 Spending much time at Cheiron Studios, one day in January 1998 the two founders, Denniz PoP and Tom Taaloma, called him to their office. Already signed to BMG Publishing and with the help from its vice president, Lars Karlsson, a joint venture between the two companies was formed. Jörgen now became a member of the Cheiron songwriting and production team. And now things really began to happen fast. Shortly after joining Cheiron, the studio was contacted by the Irish group “Boyzone” that needed material for their upcoming third album. Together with Pete James, Per Magnusson and David Kreuger, Jörgen had written the song “Will Be Yours”, which originally was planned to be included on Jörgen and Pete’s group Hearsay’s, already mentioned, never released album. Boyzone loved it. The album, titled “Where We Belong”, was released on May 25, 1998, and went straight to #1 in the UK. This was Boyzone’s third consecutive album number one. And it marked Jörgen’s first international success.